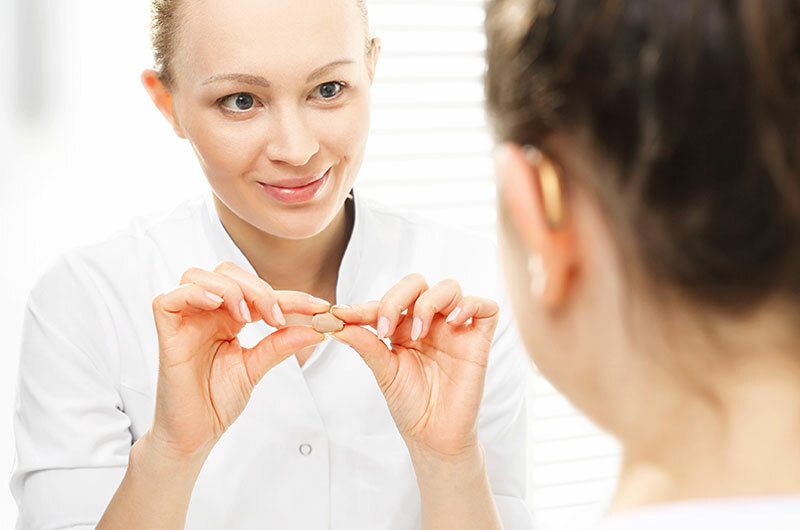 Hearing aids specialists will adamantly and unequivocally attest to the value of treating hearing loss as a means of improving the quality of life for those with related impairment that has been confirmed by a hearing test. And yet despite the knowledge and expertise of these professionals, it is rather surprising to many that a large percentage of people that could benefit from hearing aids, perhaps as high as 50%, will refuse to wear them. This is in direct contrast to individuals who routinely have their vision tested and willingly wear prescription glasses or contact lenses on a daily basis. Perhaps there is less social stigma associated with wearing corrective lenses than wearing hearing aids, or maybe it has to do with the fact that vision is given a higher priority relative to driving, watching television, or participating in sports; whatever the reason, some people are simply more reluctant to treat their hearing loss than to find solutions for correcting their eyesight. After reading the above list, individuals who suspect or are willing to admit that they are currently dealing with some degree of hearing loss but have yet to seek treatment would likely agree that their quality of life is declining/has declined to an extent as well. This in turn should prompt them to visit a hearing clinic like Bravo Hearing Centre in Toronto to discuss possible solutions and the best course of action for their particular situation. As noted above, changes in one’s hearing should be approached with a similar openness and acceptance as changes in their vision. Whether due to the natural aging process or a health-related condition, hearing loss can be treated through the guidance and support of the hearing solutions specialists at Bravo Hearing Centre in Toronto. Scheduling a hearing test would be an appropriate place to begin to determine the right method of treatment; in a majority of cases, treatment would likely consist of or include hearing aids, and the Bravo Hearing Centre specialists can play a vital role in this regard. Bravo Hearing Centre offers a comprehensive range of hearing aids, devices/accessories, and hearing-related services, including counseling for patients and their family members on their respective hearing solutions. For more details on the hearing services available from Bravo Hearing Centre, one of the leading hearing clinics in Toronto for more than 30 years, please go to our hearing services page. If you or a family member suspect that you may be experiencing some degree of hearing loss that is affecting your quality of life, it would be highly advisable to seek professional treatment as soon as possible. Call the Bravo Hearing Centre at 416-207-9711 today to book a free hearing test and consultation on the various treatment options available, including hearing aids, to address your needs.